Hope I can get this type larger. I have difficulty reading this miniscule type. 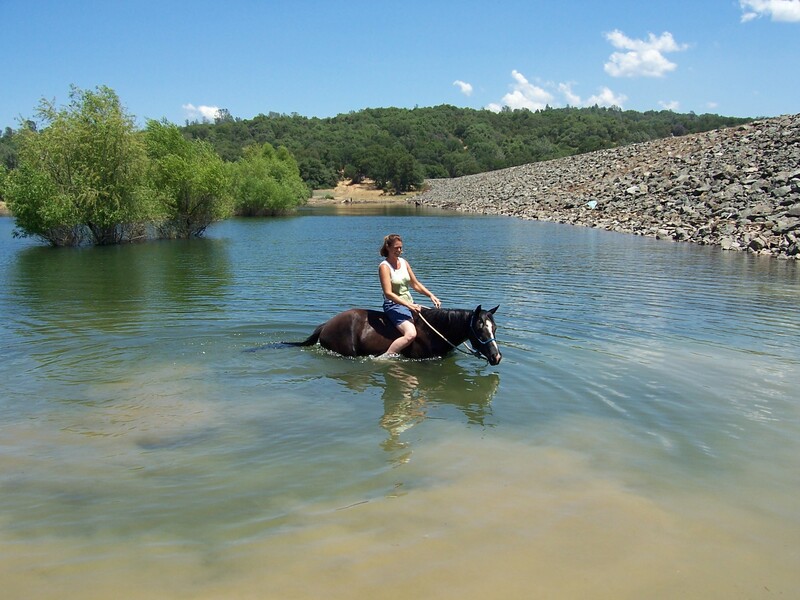 Trainer Tracy crossing Lake Oroville on Sage. This has been a very eventful summer. Earlier this year I was having a wonderful time winning Jack Pots at the Casino. “Those were the days, my friends, I thought they would never end” I think the words of the song says. Well, they did end. I have had a patch of bad fortune. Not only did the “Slot Gods” turn their backs on me, but I have had a series of heart wrenching episodes. Starting with a betrayal of a life long friend. Which I find to painful to even discus.